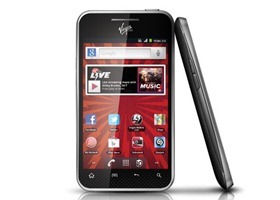 While we were able to test this process on the Virgin Mobile variant, it has not been tested on the Sprint version. It's not advised that you even attempt this on the Sprint variant until we've been able to test it first. We are not responsible for any destruction of data, phones, or small animals. Use these instructions at your own risk. This is not a simple root, and is very involved. Risks do come with it. Please read this post in its entirety before attempting. It requires flashing of a specially built firmware, along with the one time use of a root script. First things first, you need to obtain your MSL code. If you do not already have it, use this guide. 1) Start the phone in "download mode"
From a completely powered off phone, press and hold on BOTH the volume up and volume down then connect the USB cable to the phone. It should then display an LG logo, have a circular double arrow then text that says "Download is in progress. Do not disconnect cable." 3) Disconnect the cable, and power off the phone by pulling out the battery. Then replace the battery, power up the phone and once it's started, plug in the USB. If it is NOT the same as the COM # from step 2, change it so it matches. It may give a prompt regarding conflict. Ignore it. Ensure that you are on the Upgrade Setting, and then in the Bin File section click the folder to browse to your tot file. Press start and do NOT move your USB cable or phone. If all goes well it should reboot in give or take 5-15 minutes. If at any point you see more than one port connected then you did NOT set the com ports correctly and need to do that first and foremost. Once the new firmware is flashed, enable USB debugging and push su and the root script. Pay attention to the paths, do not push to a different path or it will not work. On reboot, su will be installed, download Superuser from the Google Play store and enjoy. If you want to say thanks, get more information, or support please hop over to this RootzWiki support thread. Special thanks for WhisperPntr for the flashing guide, amoamare for his incredible assistance along the way, and everyone that put their phones at risk during testing.